Deutsches Reich, Deutsch Post, Deutschland, Deutsch Bundespost, DDR, etc. Lots of Germanys. Now, I don't specialize in Germany, but over the years I have accumulated some German stamps from different periods. My question is...how does one that does not specialize in Germany sort them? Yes, i know, it's my collection and i can do what I want with it. I'm curious what others have done. My main interests are U.S., Canada, and Great Britain. I have dedicated albums for those countries. However, for my worldwide collection, which I don't actively collect, but I do add to it when something comes my way, I have a couple of binders of homemade pages. I make pages as i need them. If I get stamps for a country that's new to me, I make a new page. This way, I don't have a WW album full of empty pages. Germany always makes me scratch my head. Since I don't specialize, my album has a couple of pages full of German stamps, but there's many different names on them (see the first line of my post). I kind of wonder if they should be separated. Anyone care to enlighten me? I would separate them the way the catalog of your choice separates them. That would relieve a lot of future grief when you get around to cataloging them. Then of course, the "occupation" issues. 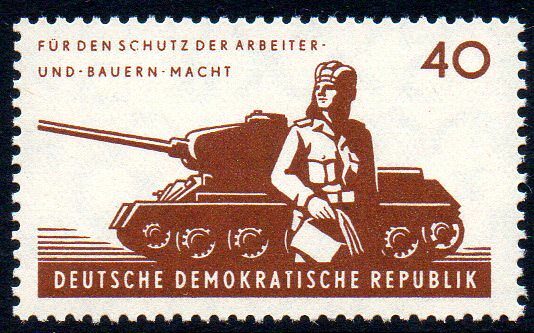 Note the West German stamps that have "Berlin" inscribed. Of course, there are a couple of stamps that have "Berlin" in the design text by coincidence, but are general issue stamps rather than Berlin stamps. 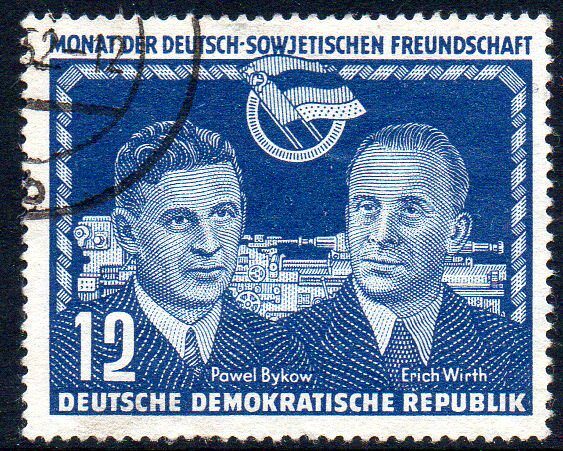 Note also that the early East German stamps (1948-1949), are inscribed "Deutsche Post" like the early West German stamps. So you need to be familiar with the issues, or check the catalogs. The really hard part isn't how to sort them; it's keeping yourself from expanding your collection into Germany! "Deutsches Reich" can mean anything from the beginnings of Germany in 1871 (the first unification) until 1945. You will eventually learn to tell them apart by the look. Many of the 1919-1932 stamps have a distinctive appearance, or style, and so do most of the Hitler ones from 1933 to 1945. "Deutsche Post" is usually the few years after the end of World War II, when Germany was still under occupation and wasn't a Reich any more and not yet a Republic. Have fun sorting the Soviet Zone from the others! And a couple of them are listed under Berlin, which had its own stamps until unification; most of them say "Bundesrepublik Deutschland Berlin" and are therefore pretty easy, once you find the "Berlin" on the face, which isn't always obvious. "Deutschland" first appeared in about 1992 or 1993. (As I've been moaning about for a couple of weeks, most of my collection is inaccessible at the moment.) After unification, there was no reason for Germany to keep using "Bundesrepublik" on its stamps; the fact that West German stamps were identified that way for many years was a way for other countries to know where the mail was coming from - and also to avoid giving the impression that West Germany considered itself the "real" or the "only" Germany. (I can't remember if any ca. 1900 stamps said "Deutschland" instead of "Deutsches Reich"; my memory is shot. Some say "Reichspost", but the UPU asked them to put "Deutsch..." somewhere on the stamp. Anyway, they are easily distinguished from the modern issues.) 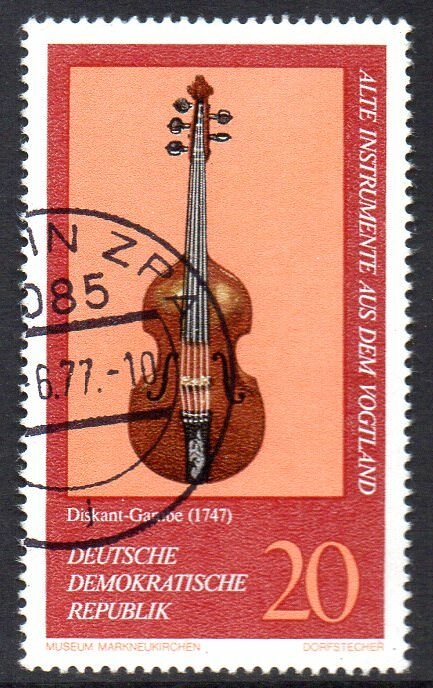 Modern Deutschland stamps can be considered a continuation of the Bundesrepublik. Of course, there are all sorts of "little Germanies" such as Bavaria (Bayern), Saar and Saarland, and the French post-WWII occupations of Baden, Württemburg, and Rheinland-Pfalz ("Pfalz" is usually translated as "Palatinate", and someday I'll get around to looking that word up), not to mention the regional stamps before 1871 (often called "Altdeutschland"), and more regional stamps immediately after 1945 in the Soviet-occupied zone, which is a true jumble of Sachsen, Mecklenburg-Vorpommern, overprints, &c. I won't even get into plebiscites! Personally, I keep Danzig with Poland, but I'm definitely in the minority there. I think most people keep the German Democratic Republic separate. Only the first few months of the DDR are hard to ID. 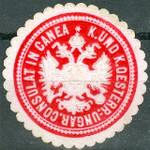 Stamps that look German but say K.u.K. or something like that are Austrian, and they utterly confuse me. This is truly a Classics Comics-level overview, but if a Germanic-looking stamp mystifies you, post a scan here and I'm certain that someone will ID when and where it's from. Germany comes in bite-sized chunks. Each German state or occupation zone is manageable, and one can specialize in one or a few at a time. I collect each country, dead or alive, but focus on France, French African colonies, older German area, allegorical men, carnivorous plants, Vikings, rock art, engraved pictorials. German Post Abroad and German Colonies = stamps from the German offices in China, Maroc, Turkey and the Colonial Propertys till the 1ste World War. Wow. Lots to learn. Are ALL East Germany stamps labeled DDR? West Germany...Berlin...weren't those the ones marked as Deutsch Bundespost? So, it seems the different names for Germany are tied to the results of both wars? 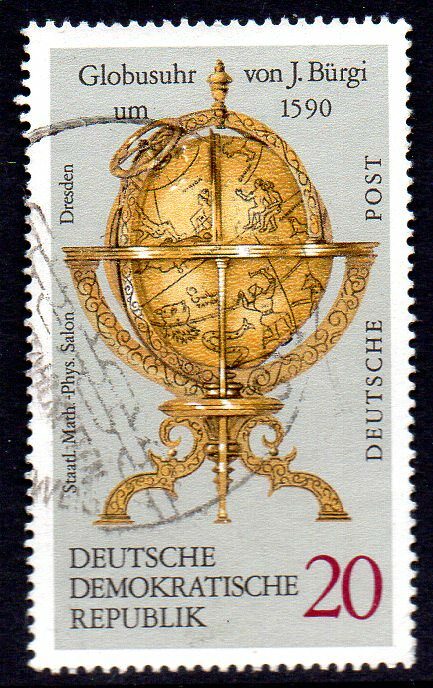 The first East German stamps were inscribed DEUTSCHE POST as were the last few issues in 1990. In the years in between they used either DEUTSCHE DEMOKRATISCHE REPUBLIK or DDR with DDR becoming more and more frequent. 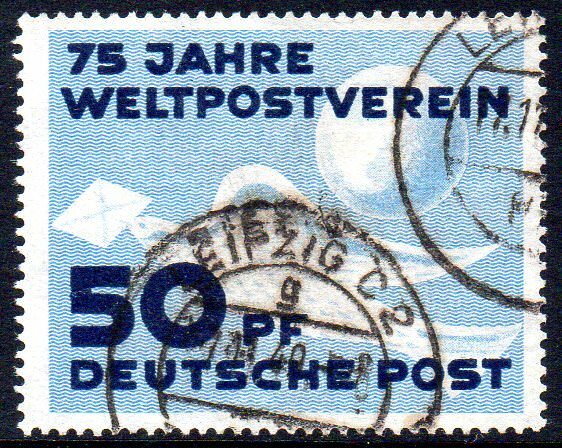 Yes, West German stamps were inscribed DEUTSCHE BUNDESPOST and the Berlin stamps had DEUTSCHE BUNDESPOST BERLIN. After reunification in 1990 Germany continued with DEUTSCHE BUNDESPOST until changing in 1995 to simply having DEUTSCHLAND. I would love to see pictures to help explain this so I am offering a prize for each picture. Here's one of the first East German stamps that just said DDR. From around 1961/62 East Germany started to use DDR more often. Using just DDR could give the stamp designers a lot of freedom especially where they wanted to show a busy scene or a long text. However, using DDR sometimes wasn't enough to save some designs from being much too busy for me such as this one from 1972. I think these stayed in use until the currency change in 1990. The first one has a postmark from 1987. The very next stamp in 1984 was one of the last new stamps to be issued with DEUTSCHE DEMOKRATISCHE REPUBLIK (but I don't have a copy to show). Wow. Great info! You know, I think I may even a few from those early German states. I'll have to investigate that. As for those 'busy" DDR stamps...I like that one (the one with the globe)! I have 5 of the 6 in the set and I like them a lot! I'll have to look at what I have and see if it's worth separating into the different designations at this point. More info is certainly welcome, but thanks much! I agree khj, nigelc, You are the master of posting pictures and Germany stamps! This is one of my Favorites. Germany is one country that my Minkus albums have a lot of pages for back of book and Occupation countries. There are also Germany offices Abroad spaces. Some are really hard to find without help or a Germany special Catalog. So, daveg28 , this thread has certainly shown that collecting German stamps is a piece of cake . 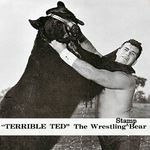 Every stamp follows a certain rule of identification, except when they don't. What could be easier than that, I ask? Those Deutsche Post stamps at the bottom of nigelc 's last pictorial post drove me crazy for months. 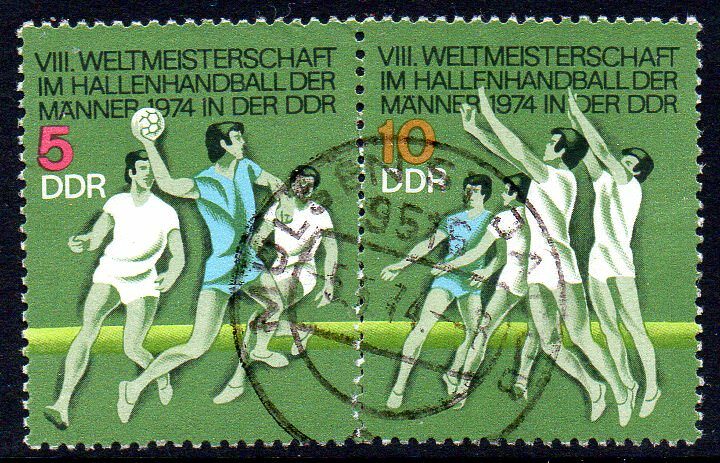 I knew they had to be relatively recent (the Deutsche Post stamps from the immediate postwar period are generally among the sloppiest print jobs ever issued under a name, any name, with "Deutsch..." in it), but I never ever thought to look at the end of the DDR listings. I think khj finally told me what they were. Oh, yeah: some German stamps don't have any name on them at all. If it says "Dienstmarke" and nothing much else, it's an official stamp, and very likely from the 1920s. They had scads of 'em. As far as I know, it doesn't stop. 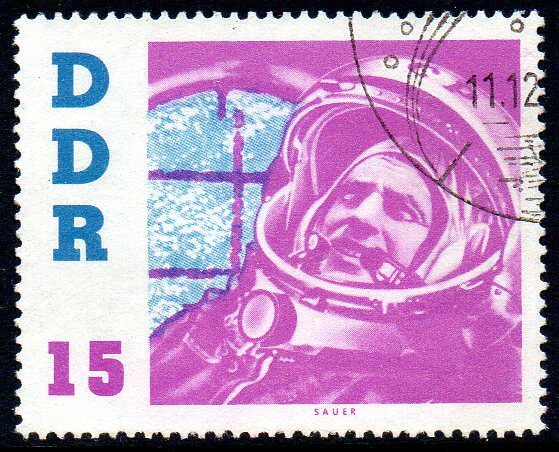 German philately is endlessly fascinating, and it's...well, endless. Oh, great. Now I'm going to have to pull out all my Germany again and finish IDing them. Thanks a lot, daveg28. Now I won't get anything else done for the next 3 months. At least this time, I'll have someone to blame. So, daveg28 , this thread has certainly shown that collecting German stamps is a piece of cake . Or, rather, a piece of bread.